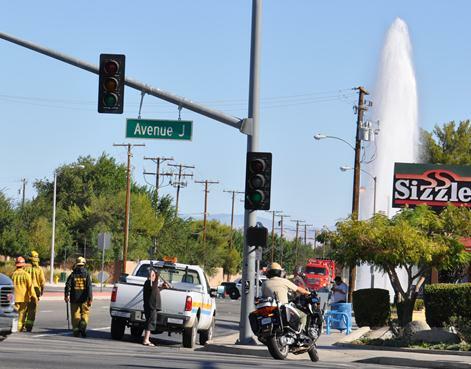 LANCASTER – A driver dozed off at the wheel Saturday morning and crashed into a fire hydrant, setting off a large geyser of water that flooded 20th street west, just north of Avenue J, for more than an hour, authorities said. 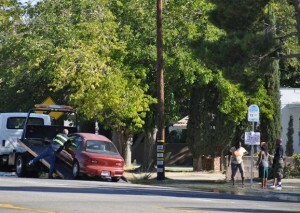 The non-injury collision happened around 8:15 a.m., said deputy Thorne of the Lancaster Station. The driver of a burgundy Chevy Cavalier was headed north on 20th Street West, and he had just crossed the intersection at Avenue J when the collision happened, witnesses said. Deputy Thorne said crews managed to shut off the water around 9:21 a.m., but he estimates around 600,000 gallons of water flowed into the street before the valves were shut off. Motorists were directed away from 20th Street West for about an hour as crews worked to clean up the mess. 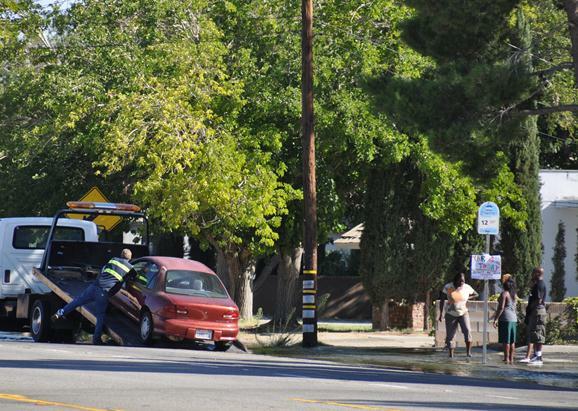 2 comments for "Driver falls asleep at wheel, shears hydrant"
I’m glad the driver wasn’t hurt but I sure hope they make him accountable for the 600,000 gallons of water that were wasted. Otherwise the rest of us will probably have to pick up the tab. 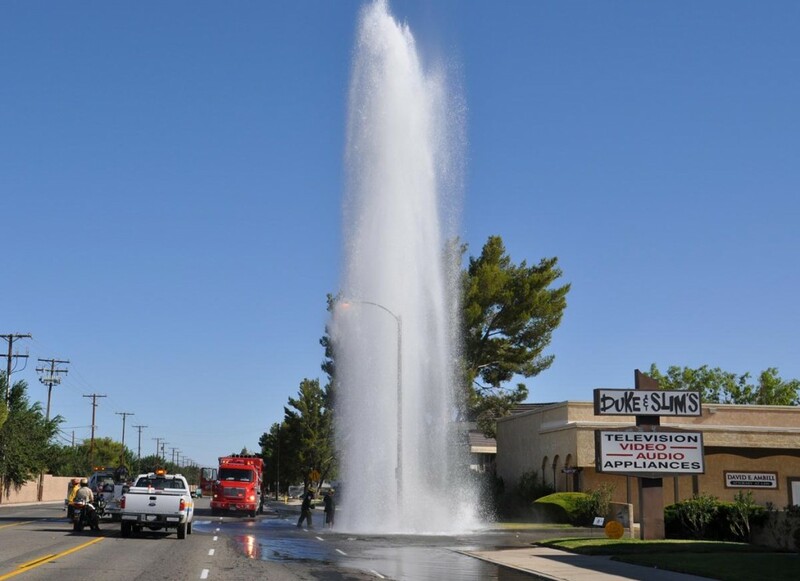 600k gals of water is still probably less $ value than the cost of replacing the hydrant and certainly less than the cost of emergency response to the accident. Just to keep things in persepective — the water is in my honest opinion the least thing to worry about in this situation.